I just popped out to feed Fred the pheasant and saw this lovely sun rise! 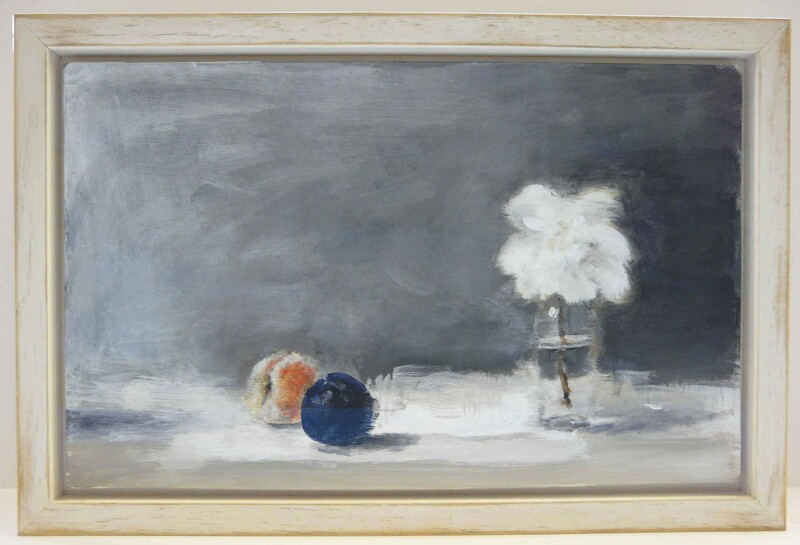 Recently one of our customers came in with a lovely oil painting with a request for a specific look for their frame. We were able to match their unique requirements by hand finishing a moulding from our range. 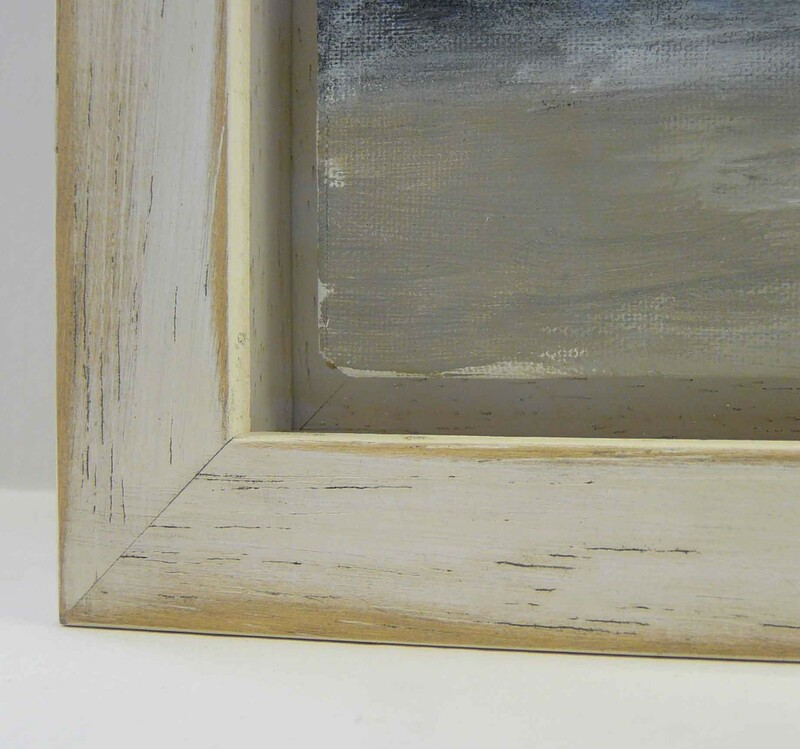 The frame was distressed, using a technique we have perfected over time at Simon Robinson & Son, to give a weathered finish. The subtilty of the finished frame really complemented the oil painting and the final effect was stunning. To further enhance the look, we incorporated a gap around the oil which gave the appearance of the canvas floating within the frame. 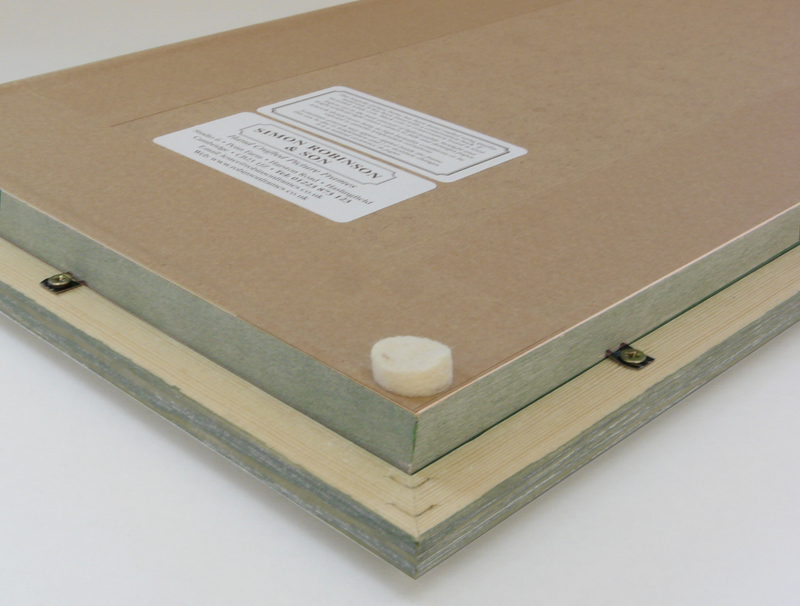 Also, we included a spacer to set the canvas in relief and deepen the gap between the glass. Here we added our special clear colour glass to eliminate as much reflection as possible so the framed oil can be viewed in the clearest way. 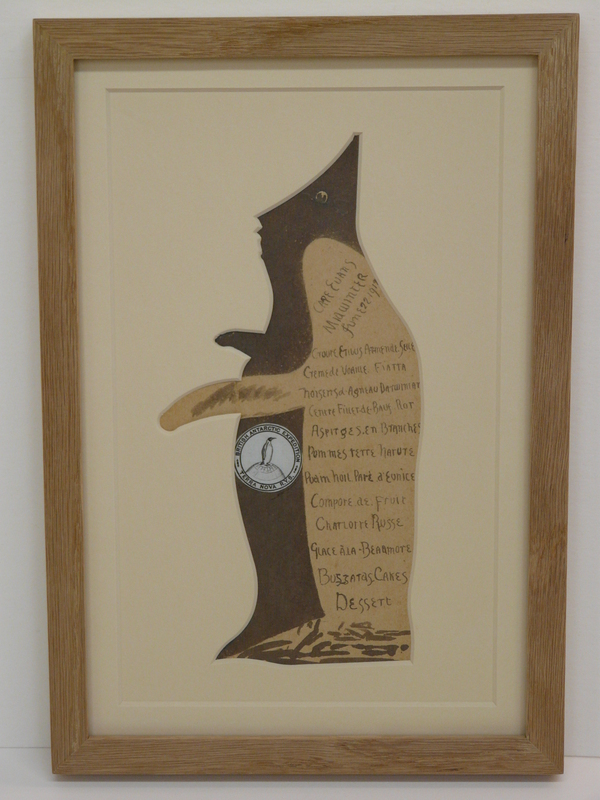 If you have visited Simon Robinson & Son, you will probably have seen the example of framed baby shoes on display. 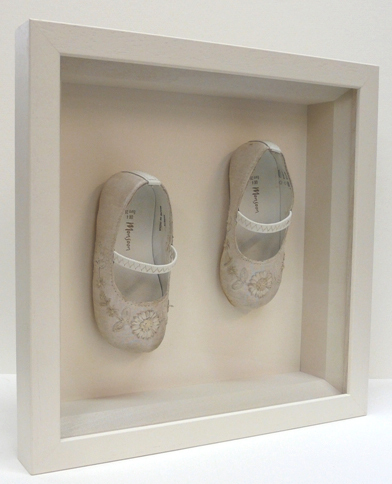 Framing your child’s shoes is a lovely way of preserving the memory of those first steps. A customer recently bought in some very pretty flower girl shoes that would normally have been resigned to the bottom of a wardrobe. The cream silk shoes had a very delicate pattern and we didn’t want the frame to distract from this. 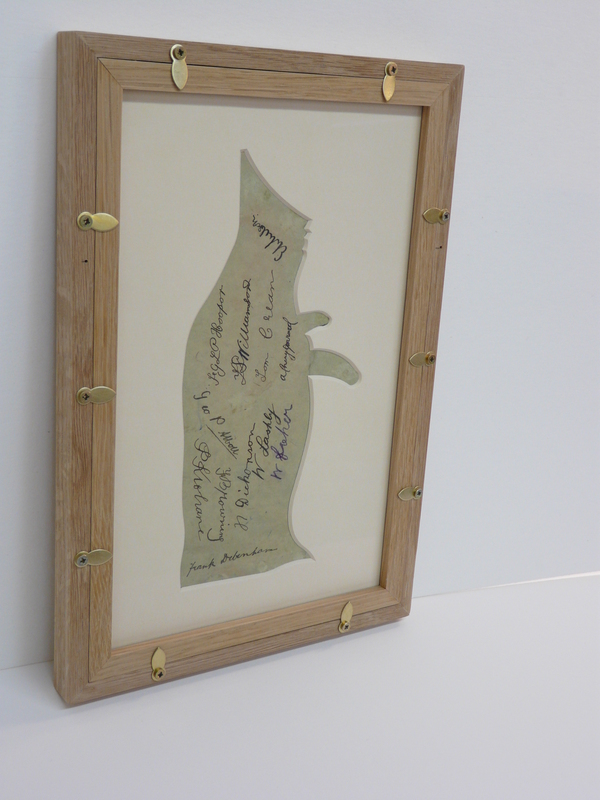 Therefore we chose a pale cream mount and frame creating a simple yet contemporary look. We used one of our unique spacers to build up the depth of the frame and create a box. We painted the spacer to match the frame and mount, adding to the simplicity of the overall piece. You can see below how the depth has been built in. As with all our box frames we recommended our special clear colour glass to eliminate as much reflection as possible. This makes a huge difference when framing three-dimensional objects. The overall effect was stunning – the perfect way to both display and preserve a moment in time. After a little break for holidays we are back to our blog and I want show you how a different shaped mount opening can complement an artwork. 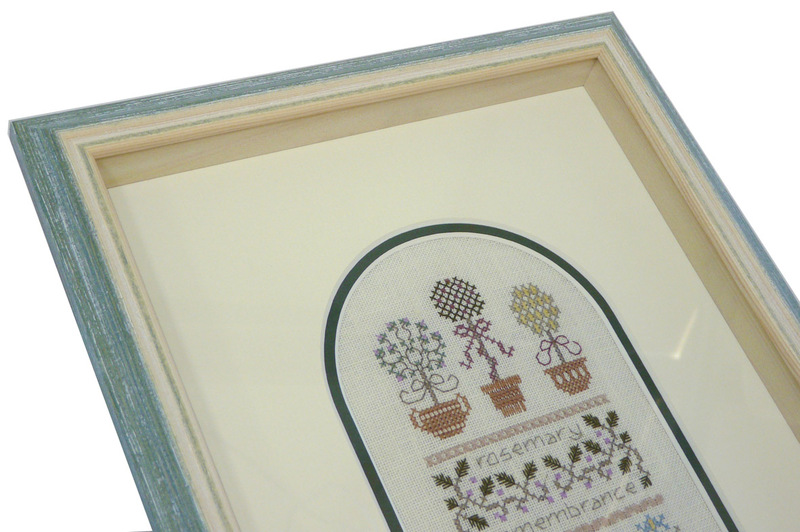 We recently framed a delicate cross stitch with an arched top. A rectangular mount would have fought against the design so we decided to create a mount that would mirror the soft curve of the needlework. As we have a computerised, precision mount cutter at Simon Robinson & Son, we can design the opening to suit the artwork and ensure a very high quality finish. 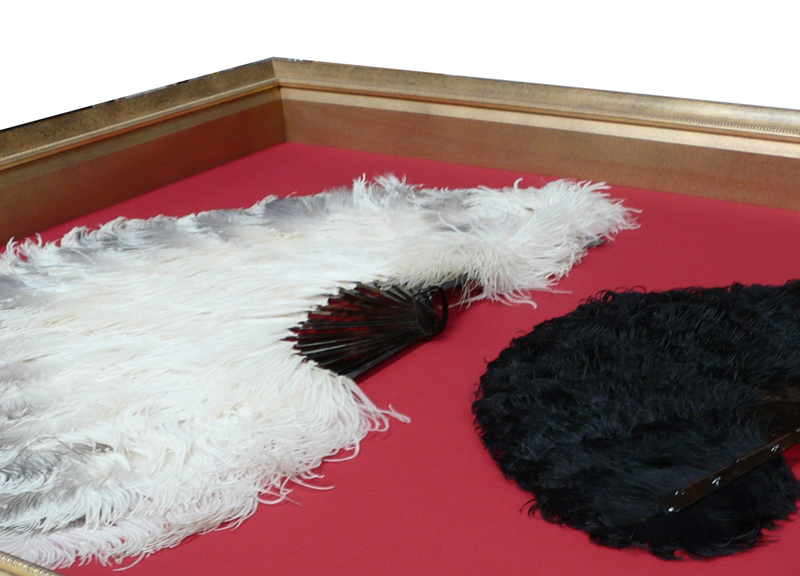 We are even able to make shaped double mounts which is what was chosen this time. Sometimes a frame isn’t deep enough to accommodate all the different elements that are to fit in it – glass, mounts, stretched needlework, conservation backing etc. To ensure you can still benefit from our entire range of mouldings, we have developed a special insert, allowing us to increase the depth of the frame. We paint or stain the insert to match the frame or mount. In this case it has been given a pale wash on the inside to match the mount and a light green wash on the back edge to match the frame. At Simon Robinson & Son we take pride in the finish and ensure the back is as neat as the front. You can see below how the depth has been extended. We used a speciality glass, clear colour plus, to eliminate as much reflection as possible and keep all the beautiful detail of the cross stitch. We use clear colour more than any other glass at Simon Robinson. In fact, we are the biggest user in the UK which shows how highly we rate this speciality glass. And it is not just us, many museums and galleries are now using it on priceless artworks due to it’s clarity and uv protection. It reduces reflection so your framed images can be viewed in the clearest possible way. In some conditions it can look invisible. Clear Colour Plus UV blocks UV rays, reducing damage and fading of the framed image. It’s Water White. This means most of the impurities found in normal glass (such as iron, giving a green tinge) have been removed. This gives the most accurate colour rendition of the image. It increases the transmission of light providing exceptional viewing clarity. This image shows the difference between our glass options. Clear Colour Plus UV is easily identified in the centre. Traditional float glass is on the left and etched non-reflective glass is on the right. 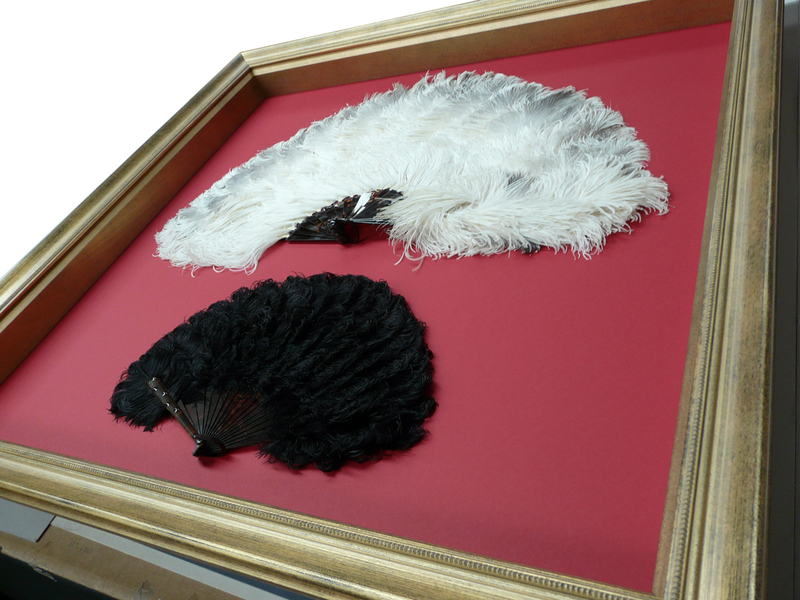 This is the standard choice for picture framing as it is both economic and easy to use. Although there can be quite a lot of reflection, it will protect your work from dust and accidents. Until not long ago this was the only option for framing. We use it in many of our frames and it would be our second choice after the Clear Colour Plus UV. Before Clear Colour glass this was the only option if you wanted a non-reflective glazing. It has an etched surface so the light is defused, reducing reflection. However, the hazy, etched surface does mean you loose definition, especially obvious if the work is mounted or in a box frame. It is due to this loss of definition we wouldn’t readily recommend it however, we do use it from time to time if a customer wants of match it to pieces they already have. Sometimes glass is not suitable to use, if the finished frame is extremely large or if it is to be transported abroad for example. In these cases we would recommend an acrylic glaze. 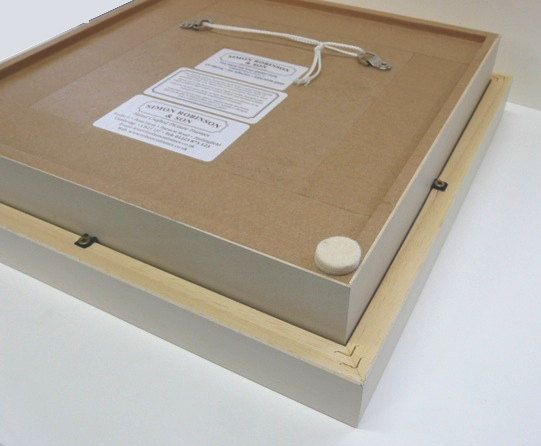 Art Shield is a high quality alternative to glass, developed specially for the art and framing industry. Unlike standard acrylic it is virtually scratch resistant and has very little static build up. It is also water white so the clarity is extremely high.